If you’re looking for a Mazda SUV with plenty of space for family and friends, the Mazda CX-9 is a good choice. This 7-passenger SUV offers the likes of three-row seating, an EPA-estimated 28 mpg highway, available i-ACTIVSENSE® safety feature, KODO Soul of Motion design elements, and more! Explore the Mazda CX-9 inventory online before experiencing the Mazda CX-9 towing capacity and features in person near San Marcos. Why Choose a New Mazda CX-9? The Mazda CX-9 towing capacity is up to 3,500 pounds and this Mazda SUV offers an extensive variety of features from Lane-Keep Assist to i-ACTIV AWD®. Whether you choose a classic black Mazda CX-9 or opt for the Mazda CX-9 Touring trim, you’re in for one exciting ride. This SUV is clearly a solid pick, why buy one from Mazda of Escondido? 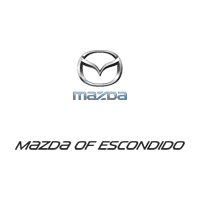 Besides having a knowledgeable staff that won’t pressure you into buying, Mazda of Escondido has Spanish-speaking associates to better accommodate our customers. Still researching SUVs? Explore our Mazda CX-9 vs. Acura RDX comparison. Explore our Mazda lease specials before you visit us near Vista to drive home your new Mazda!